Although Nintendo has been a dominant force in the video game world, and its game franchises like Super Mario are amongst the best-selling of all time, the Japanese company has been going through a rough patch as of late. Its ill-fated Wii U console is lagging behind the top-selling PS4, for instance, and not even the recent Nintendo Direct video mentioned their upcoming NX console, which remains shrouded in mystery but will supposedly debut this fall. Nintendo is clearly more than a video game company these days though, and its foray into the toy business with the wildly successful Amiibo figurines, and a deal last year with Universal to bring Nintendo-themed attractions to their parks means that Nintendo is no doubt still a major player in the video game world. 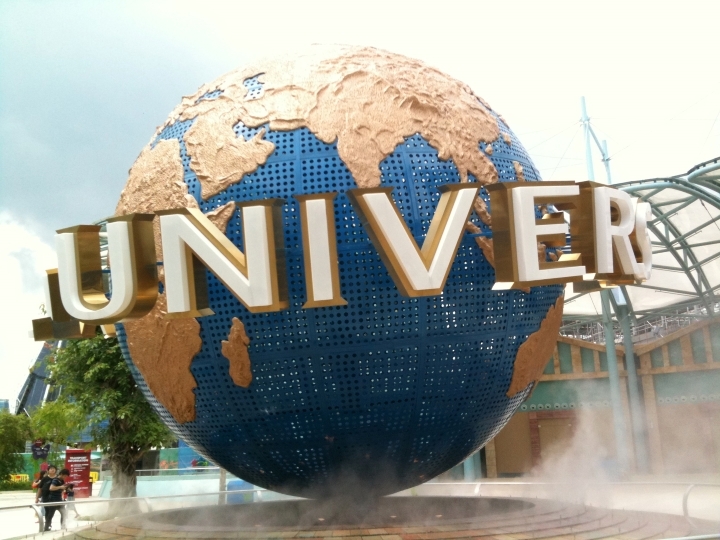 And regarding Nintendo’s deal with Universal, new details have recently emerged about how big the investment will be, and the size of the Nintendo-themed area at the Universal Studios Japan park in Osaka. According to Sankei News (via Kotaku) the deal is worth a whopping 40 billion yen ($351 million), as much money as was put into developing the Wizarding World of Harry Potter areas in Universal’s theme park. 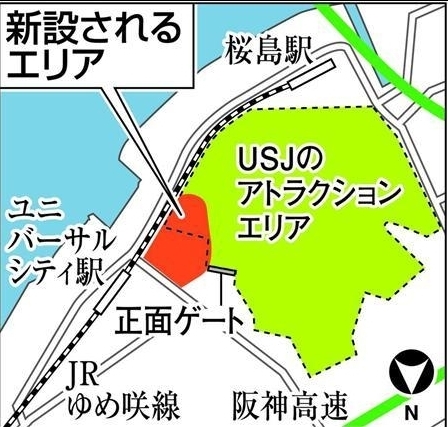 Also, it is clear that this new Nintendo-themed area in the Osaka park will be quite large, as evidenced by the coloured map shown above. Universal’s facilities are shown in green on the map, while the new Nintendo area is shown in red. And when will fans of Nintendo’s games and theme park lovers be able to enjoy the new Nintendo attractions in Japan? Not for a while it seems, as the Nintendo area won’t be complete until 2020, which coincidentally is the year of the Tokyo Olympics, meaning that the new Nintendo theme park is likely to have a very strong inaugural year. Nothing has been revealed regarding the attractions which will feature at the park yet, although Nintendo said last year that “the immersive experiences will include major attractions at Universal’s theme parks and will feature Nintendo’s most famous characters and games”, which no doubt sounds promising enough and will make fans look forward to riding the Nintendo-themed attractions in Osaka in the future.